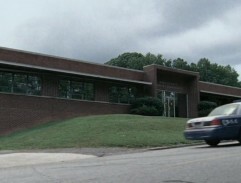 Sheriff's Deputy Rick Grimes is leaving from the sheriff's station and is on the way to Atlanta. 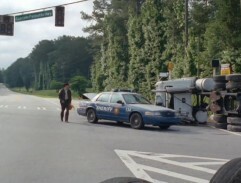 Rick Grimes has taken a jerry can from the vehicle and he is going to the gas station. 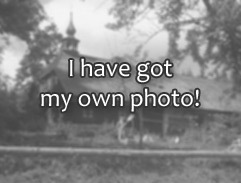 Sheriff's Deputy Rick Grimes is leaving from his house. 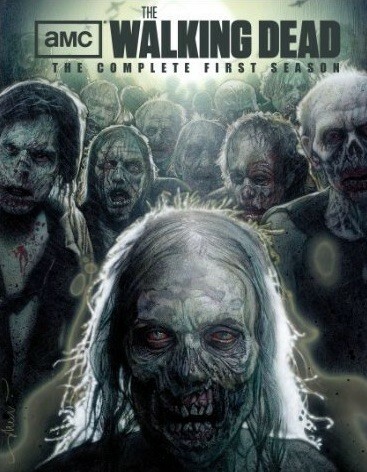 Sheriff's Deputy Rick Grimes is going to kill a zombie in front of Morgan's House. 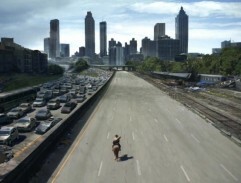 Sheriff's Deputy Rick Grimes is arriving into Atlanta. 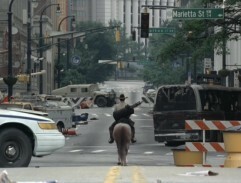 Rick Grimes is ariving to the Atlanta on the back of his horse.